Who needs instant gratification? The Ghan is happy to take its time and give you a moment to pop into the kitchen for a cup of tea. Slow TV is quickly becoming a real viewing choice for the more intrepid TV viewer. The appeal is quite obvious – life is fast and hectic, but television doesn’t have to be. In fact, slow TV is arguably the perfect antidote to the modern bombardment of bite-sized, attention-seeking video content. Interesting, then, that the post-Warholian seeds of slow TV were sewn on that very same internet over the last 20 years or so. Live streams of the doomed Gävle goat in Sweden, wild salmon being eaten by bears and the University of Queensland’s pitch drop experiment in 2000 have been popular enough online to be seen as far more than just curios. 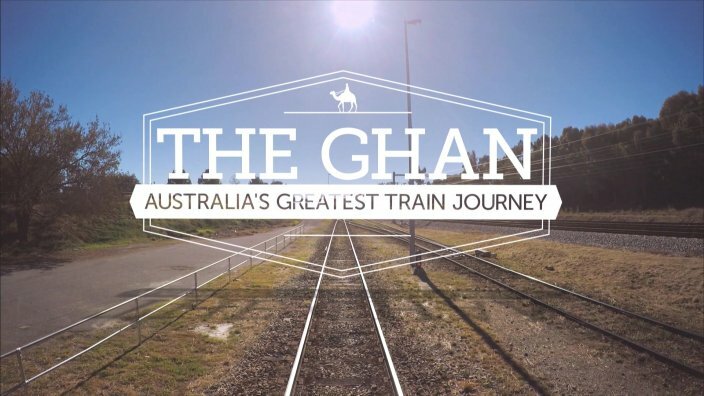 With the landmark first Australian slow TV special, The Ghan, almost here, we look at some of the best examples of slow TV from across the world as the genre continues to grow, albeit slowly. The leader of the movement globally is the Norwegian national broadcaster, NRK, whose groundbreaking slow TV broadcast in 2009 saw one fifth of the country tune in for a seven-hour train ride. They have followed this up with shows about a fireplace, knitting and many other marathon pieces, but it’s important to recognise the originator of the movement: Bergensbanen: Minutt for Minutt. British TV has many rewards, not least of them Antiques Roadshow, with its quaint country locations and small-town folk hunting for treasures on TV for nearly 40 years. All Aboard! The Country Bus takes this appreciation for the British countryside to its ultimate conclusion - looking at it from the windows of a bus... on the telly. Although it barely qualifies as a marathon at only 120 minutes and is a revisit of the familiar theme of travel, it is very, very slow. It followed on from other BBC slow TV experiments All Aboard! The Sleigh Ride and All Aboard! Canal Trip. There’s obviously something altogether soothing about watching the world pass by from the comfort of a vehicle. Iceland’s Sigur Rós make the kind of warm relaxing music where not much really happens anyway, so the band’s idea to traverse the perimeter of the entire country in a van while their music played in an organic, live, freeform remix was a gorgeous fit. It played live on Iceland’s national television service, RÚV, and streamed globally via YouTube. Taking a different approach, Finnish broadcaster YLE’s Saunailta Strömsössä was a six-hour broadcast from a sauna to highlight the country’s obsession with and culture surrounding saunas. The marathon broadcast probably does not fit into the strictest definition of slow TV, but it contains enough elements and is an original enough concept to make it a worthy addition to the list. As much as travel is a revisited theme in these early days of slow TV, so are animals. Norway’s NRK once again upped the ante with Reinflytting: Minutt for Minutt. It was an ambitious project, tracking a wild reindeer migration. Viewers and producers were initially dismayed the lead reindeer wasn’t in a hurry to get started on the migration, and even when they did, it all happened a little, er, slower than expected. In some regards, the refusal of the animals to cooperate with the production makes this program even more sublime. The protagonist of Beautiful Loser is far from a mature adult — but he’s not alone in French films and TV shows. The way a character comes out on TV has the potential to make or break a show. A new documentary explores how the doll has maintained her relevance for 60 years. TV has learned a lot from golden age TV shows like The Sopranos, which deftly reflected dramatic changes in culture and society while telling stories about modern mobsters. Ride Upon The Storm has taken a lot of cues from The Sopranos, weaving similar themes of societal change into its story about a religious family.